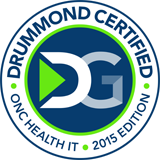 We are pleased to announce that GeeseMed EHR Version 7.0 has been certified as a ONC Health IT 2015 Edition EHR. The GeeseMed Health IT Module(s) is 2015 Edition compliant and has been certified by an ONC-ACB in accordance with the applicable certification criteria adopted by the Secretary of Health and Human Services. This certification does not represent an endorsement by the U.S. Department of Health and Human Services. Additional Software Required:Health Language Web Serice API, MedLine Plus Connect Web Services, Kno2. We are pleased to announce that GeeseMed EHR Version 6.0.0 has been certified as a ONC Health IT 2014 Edition Complete EHR. 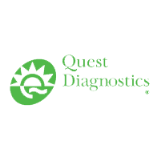 The GeeseMed EHR is a Complete EHR for Ambulatory care certified as 2014 Edition compliant by an ONC-ACB in accordance with the applicable certification criteria adopted by the Secretary of the U.S. Department of Health and Human Services. This certification does not represent an endorsement by the U.S. Department of Health and Human Services or guarantee the receipt of incentive payment. Additional Software Required:Secure Exchange Solutions, HermeTech UltraPort MSSQL Schema Engine. This certified product-version may require one-time costs and/or re-occurring costs to establish interfaces for reporting to immunization public health agencies or any specialized registry. (170.314(f)(3) – Transmission to Public Health Agencies – Syndromic Surveillance) Connecting to providers on other HISPs which are part of the Direct Trust Bundle may require ongoing service fees per provider. This is in regards to criteria 170.314(b)(1) – Transitions of care – receive, display and incorporate transition of care/referral summaries & 170.314(b)(2) – Transitions of care – create and transmit transition of care/referral summaries.